Grammy-winning composer John Luther Adams always speaks with reverence about capturing “the tone within the noise”, and if any of his recent work can be said to take that mission directly to heart, it’s Ilimaq. 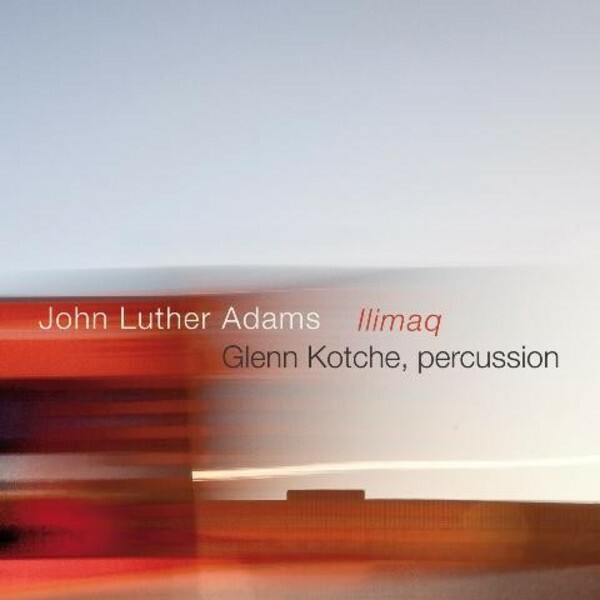 A true electro-acoustic recording that channels the energy, passion and precision of Wilco drummer Glenn Kotche, Ilimaq (which loosely translates from the native Alaskan Inupiaq language as 'spirit journeys') maps a vivid, phantasmagorical progression through liquid cascades of percussion, otherworldly ambient soundscapes, harmonic dissonance, melodic convergence and almost everything that’s musically - and sonically - possible in between. Of course, as the old adage goes, the 'map' is not necessarily the territory - but in the right hands, it can come pretty close. Although they both live and work in different, almost diametrically opposed worlds of music, Adams and Kotche didn’t just choose to collaborate on a whim. Back in 2008, while Wilco was on tour in Alaska, Kotche personally emailed Adams and asked to meet. It soon came to light that he had been following Adams’ work for years; by the same token, Adams’ own background as a rock drummer gave him a uniquely informed glimpse of what Kotche had in mind. (As Adams says in the liner notes to Ilimaq, “...in Glenn Kotche, I’ve found the drummer I always imagined I could be”).